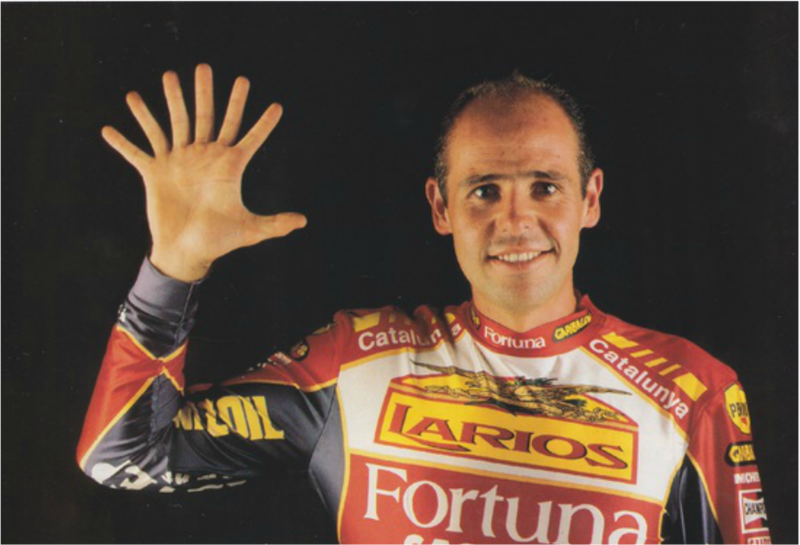 Whilst Jordi was growing 7 fingers on one hand to demonstrate his multiple wins, it was Salva who provided the catch and hence the confidence to charge at obstacles 110%. It was a circle, good work and winning races. I remember this. It is something that I’ll never forget. Something historical from Jordi. I remember in Italy in an area, a double zone, where the ‘minder’ prepared a pile of sand to help you. At that time we had number 1 and I can tell you that they did not let number one do it. Yes, yes, I have witnessed it. They saw me and then, may be they had an issue as I was the first person that I professionalized this. I knew exactly what the riders needed. I had been a rider. I was the first person to blow-clean the boulders/stone. I know exactly if a tyre can go over any specific boulder/stone, if it has dust, the traction is different. You had to find the perfect spot from where you could keep on moving forward to the next point. I worked very hard, other people didn’t really like it. I remember that there was a place in a zone that the others went through and when it was our turn, they didn’t let me in. I said, “Ostia, Jordi they don’t let me through.” (Jordi replied) “It’s ok, the mother f***ers, the mother f***ers. “. 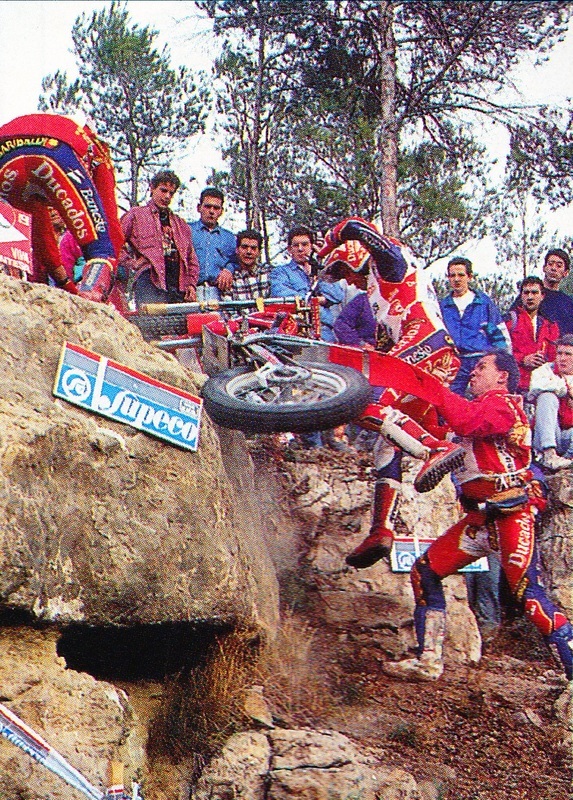 I will always remember, the guy (Jordi), arrived at the section and there was a little bit of sand, the main thing was to position himself well, he reversed back a little bit, as they used to do before. The guy (Jordi) using his front tyre, puts the sand in the right place, he makes a pile using his motorbike and its front tyre. He then reversed, it was the only clean that there was. He was then slagged off at all the subsequent checkpoints. I still have goose bumps thinking about it. The guy new exactly what to do, he thought, ‘you don’t allow us, it doesn’t matter, I’m still going to do it!” These are experiences that stay with you forever. He was very clear about it! He was awesome he knew exactly what to do. He was like a machine, the machine that his brother was used to see for a long time and that he never failed. There must have been some big crisis with Jordi and problem at the trial that you had to deal with ? I remember one year in England that he had back problems, he was still winning, I believe that was in 1995. All of a sudden he could not move, we went to check the different zones and he struggled to get on the bike. We had to go to the hospital, they gave him injections but the following day he was just as bad. But he got on the bike and won. I looked at him and I said f***. How did he develop the injury? It is a back problem that he still has now, problems with the vertebrae, the problem comes from too many hours on the bike!. Another big problem, I remember that we have was in a very difficult section in Germany trial. I think it was in 1994 but I am not so sure. I was positioned on the section but there was no good place for me. I remember hearing Jordi said uh-uh! His brother was behind a tree and me as well. The motorbike fell pum-pum-pum from the top to the bottom. 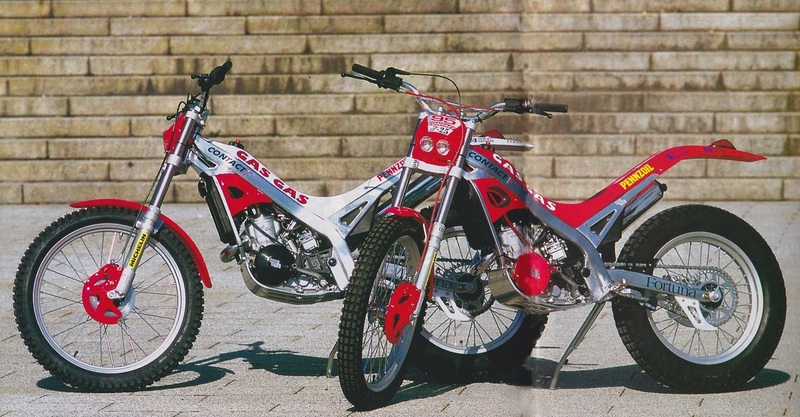 The fork, the chassis (frame). We went into the river to change all the pieces as they were covered in mud, we changed all the pieces and cleaned them with the water from the river.